So you made an offer on a house and all you’ve received in return is silence. What this usually means is that your offer was too low or otherwise offensive in some way. 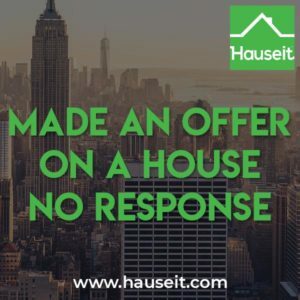 Your offer email could also have been perceived as spam or not credible if you didn’t submit it with standard documentation such as a REBNY Financial Statement or a mortgage pre-approval letter. Made an offer on a house no response is one of the most common search terms on the internet for home buyers. We’ll explain all the scenarios and what you can do about it in the following article. Whether you get a response to a low offer or not depends on just how low and offensive your offer was. 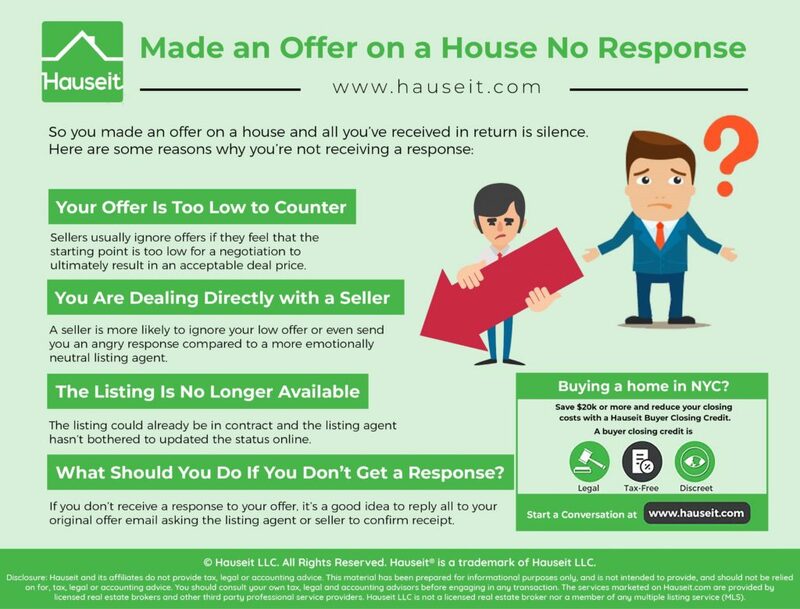 If your offer is extremely low, say 10% or more below the market value of the house, then the seller or listing agent may ignore your offer email completely. This is especially likely to happen if your offer is substantially more than 10% lower than the listing price. However, if your offer is low but still within 10% of the listing price, you will frequently at least get a response from the seller or listing agent. They’ll often thank you for taking the time to make an offer, and will either politely decline to counter because it’s too off base, or they’ll make a counter offer. If they do make a counter offer, it can sometimes be a repeat of the listing price, or a miniscule decrease from the listing price. It’s a more polite version of telling you to buzz of and declining to counter at all. In rare situations in a slower market, you may find a seller willing to seriously negotiate with you despite a low offer. In this case, the typical course of action is to attempt to meet in the middle. 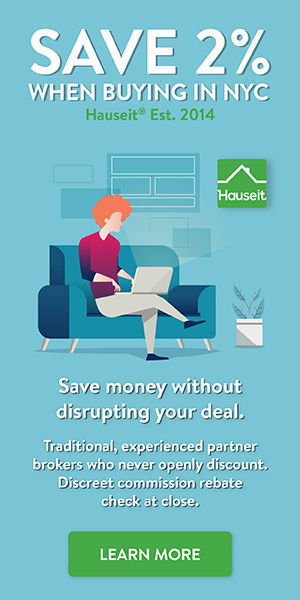 Knowing this, your initial offer should be low enough so that you’d be comfortable with the potential mid-point of the next round of counter-offers. Pro Tip: Do you think your low offer should be accepted because it’s a cash offer? Read our guide on how to buy a house with cash in NYC to learn the right way to do it. Whether you’ll experience the phenomenon of made an offer on a house no response or not also depends on who you’re dealing with. For example, sellers are generally more emotional about their sale process and more attached to their homes. As a result, a seller is more easily offended by a low offer vs a listing agent who will be more emotionally neutral about any offers. So be careful if you find yourself dealing with a seller directly as the seller will be more likely to ignore your low offer or even send you an angry response. If you find yourself in this delicate situation, it may be better to send a nice email asking if something in that ballpark would make sense, or whether the seller has any room in the listing price. This intelligence gathering can often be accomplished without ruffling feathers by a friendly phone call. Listing agents in contrast are much easier to deal with and won’t be likely to be ruffled by a low offer. With that said, you can still cover your bases and not risk angering the seller by giving the listing agent a call for more color on the competitive situation. Do they already have offers in? Do the sellers have any negotiating room in the price? Would they like to see an offer from you even if it will be low? These are all easy questions to ask on a phone call with a listing agent before you take the time to submit an offer. Pro Tip: What’s the difference between a listing agent vs selling agent in NYC? And once you figure out that nuance, does it make sense for you to have your own agent? Is there an advantage to not having a buyer’s agent in NYC? Don’t panic if you made an offer on a house and have received no response. The next step is to reply all to your own email and ask the listing agents to confirm receipt of your offer. You can also combine this with a text or a message relayed from a third party website such as the listing brokerage’s website to confirm that your offer didn’t go into their spam folder. Do this after 1 day of silence from the seller’s side. If you still can’t get a response from the sellers or listing agents after you’ve made sure in the previous step that they are indeed aware of your offer, then it’s safe to presume that they are not interested or already have an accepted offer. Note: Often times, listing agents will not bother to update their listing’s status in NYC. Furthermore, listing agents are typically not required by most MLS systems to update their listing as offer accepted. Most MLS systems only require a listing update status change when a listing is fully in contract. If a listing has been on the market for months without any activity or signs of open houses, then the reason they may not have responded to you is because they have already accepted an offer and are very far along with that offer. They may be close to signing a contract with the accepted offer, in which case there would be nothing for you to do. There is also a chance that the listing is a spam listing, or a mistake listing that’s not really for sale. Spam or open listings without an Exclusive Right to Sell Listing Agreement in place are very rare in NYC. That’s because the REBNY RLS and even sites like StreetEasy will only accept exclusive listings. However, if you’ve taken the time to submit an offer, it’s still polite for a listing agent to at least reply and tell you that the listing is no longer available. If you truly want an answer and haven’t gotten one, then you can always keep calling and emailing the listing agent from various phone numbers and email addresses until you get ahold of them. Being persistent will usually work unless the agent is truly not in business anymore, or perhaps out of the country or in the hospital. Barring these unlikely events, you will most likely be able to get a listing agent on the phone by trying multiple times from different phone numbers. Pro Tip: Perhaps the reason you’re not getting a response is because you submitted an incomplete offer or one that didn’t look credible. Read our guide on how to make an offer on a house in NYC before you begin!